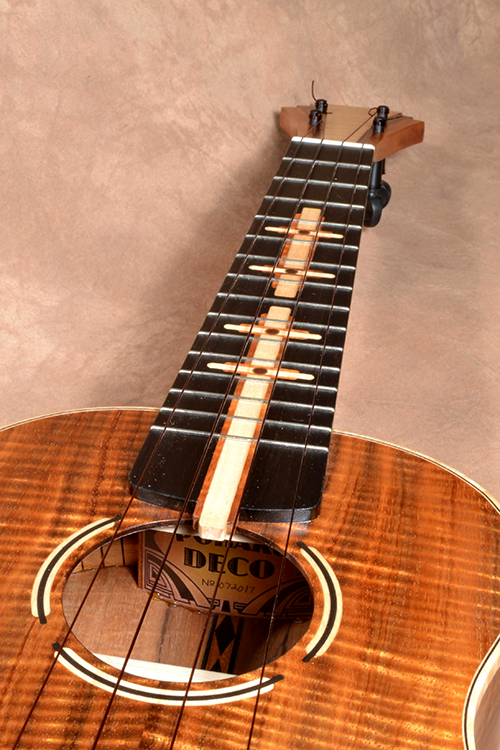 Our award winning, "Hawaiian Art Deco" ukulele is one of the finest Art Deco fashioned instruments we've ever built. 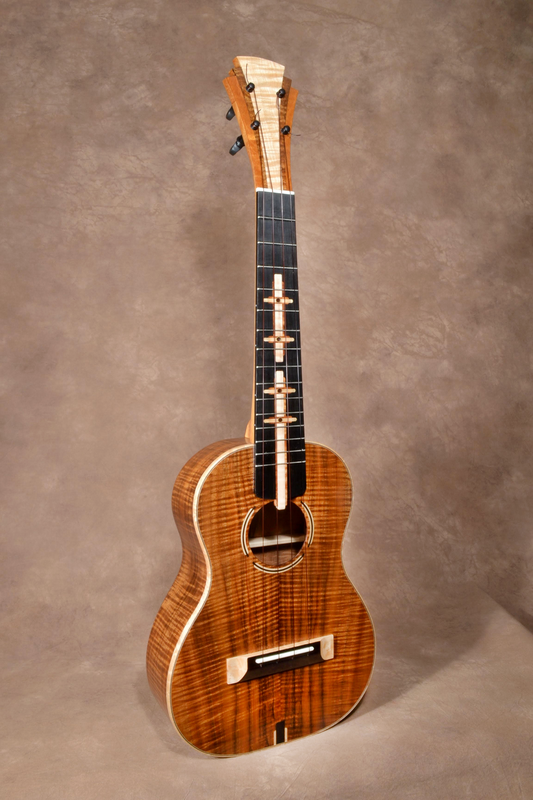 This gem combines the best of Pohaku decorative skills with some of the finest Hawaiian Koa wood for an incredibly rare, visually striking and killer sounding instrument. The stars have aligned with this beauty. It plays and sounds like a good tenor instrument should with full sustained volume. This instrument has a nice ring to it which makes chord playing sound especially sweet. 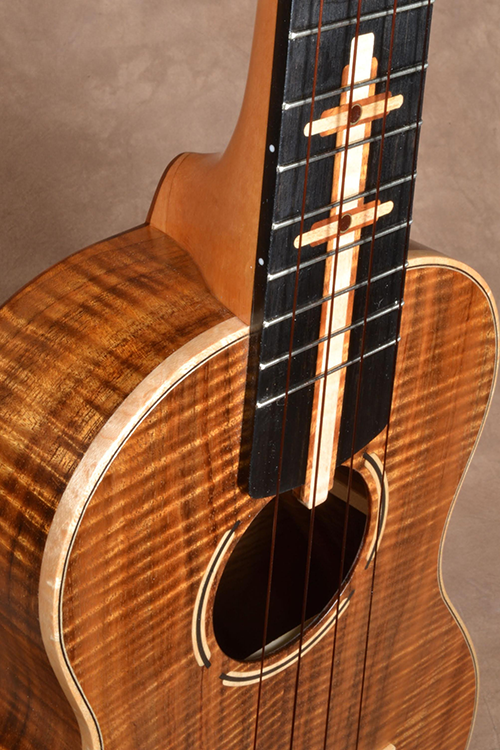 Every detail of this tenor is made to perfection. 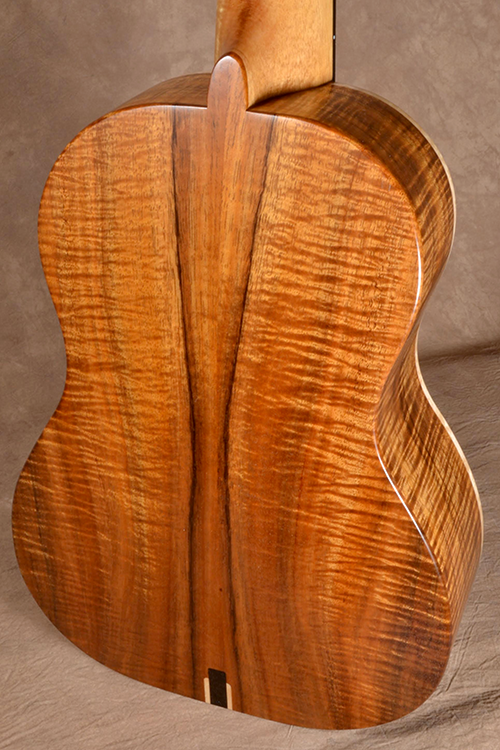 The dark chocolatey super curly Koa came from the town side of Oahu about twenty years ago. The accents are maple and ebony. The fingerboard is ebony and the tuners are the 4:1 ratio Peghed brand planetary tuners. 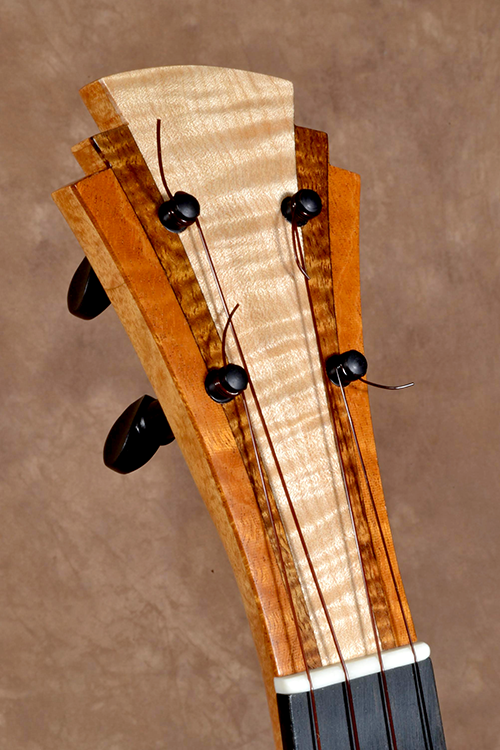 The neck is also quarter sawn Koa and it is curly (but it is not the same tree as the body wood). The finish is a smooth satin lacquer. The set up and intonation is well attended to, so this uke plays easily and in tune. Every detail of this instrument is outstanding.